Global banking giant HSBC will pay $1.92 billion in a record settlement with U.S. regulators to resolve money-laundering allegations. The Department of Justice and U.S. Treasury said Tuesday that HSBC allowed the most notorious international drug cartels to launder billions of dollars across borders. In addition, the government said HSBC violated U.S. sanctions for years by illegally conducting transactions on behalf of customers in Iran, Libya, Cuba, Sudan and Burma. At a news conference in Brooklyn, N.Y., Assistant Attorney General Lanny Breuer said the settlement concluded a five-year investigation in which the department reviewed 9 million documents. "HSBC is being held accountable for stunning failures of oversight," said Breuer in a department statement. "The record of dysfunction that prevailed at HSBC for many years was astonishing." HSBC CEO Stuart Gulliver accepted responsibility for the banks' mistakes. "We have said we are profoundly sorry for them, and we do so again," Gulliver said in a statement. The deal includes a deferred prosecution agreement with the Department of Justice. No charges will be brought against the bank provided certain conditions are met. Breuer didn't rule out individual prosecutions. As part of the settlement, HSBC is required to take actions to strengthen its compliance policies and procedures. HSBC has also replaced its senior management, and "clawed back" deferred compensation bonuses given to its most senior officers in the money laundering compliance division. In the U.K., the bank's lead regulator the Financial Services Authority (FSA) did not penalize the bank financially for its failures. But it required the bank to take steps to prevent similar failings, including the hiring of an independent monitor to oversee the bank's international transactions in the future. In Mexico, HSBC became the preferred bank for drug cartels and money launderers, according to the Justice Department. The government said the bank didn't raise red flags even when billions of dollars in transactions took place in cash, the typical mode of operation for drug dealers. Between 2006 and 2009, according to DOJ, HSBC failed to monitor $670 billion in wire transfers and $9.4 billion in cash transactions from its Mexico bank operations. Because of these failures, at least $881 million in drug trafficking money -- including those of the Sinaloa Cartel of Mexico and the Norte del Valle Cartel of Colombia -- were laundered through HSBC, according to Justice. The DOJ said HSBC also helped process $660 million in prohibited transactions from Iran, Cuba, Sudan, Libya and Burma by deliberately hiding the identities of these countries. 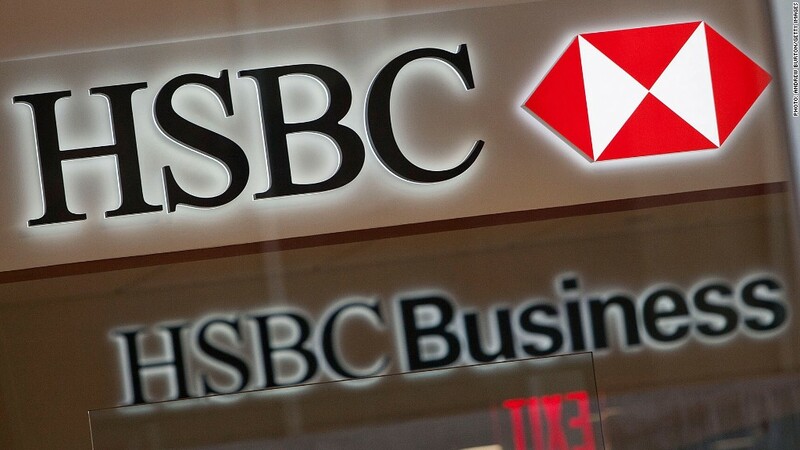 The settlement follows a Senate subcommittee report released in July that accused HSBC (HBC) of failing to prevent money transfers by Mexican drug cartels and banks linked to terrorism financing. Among other things, the report claimed that in 2007 and 2008, HSBC's Mexico unit shipped $7 billion in cash to the bank's U.S. affiliate, a volume of shipments that law enforcement officials said could reach that size "only if they included illegal drug proceeds." In a filing with the Securities and Exchange Commission last month, HSBC said it had set aside $1.5 billion to cover potential penalties from the U.S. money laundering investigation, but warned the final cost could be significantly higher. HSBC also said it was improving its internal controls, including the appointment of former Treasury Department official Bob Werner to a new role as Head of Group Financial Crime Compliance and Group Money Laundering Reporting Officer. "The announcement of Bob's new role underscores our determination to address the shortfalls highlighted by recent investigations," HSBC spokesman Rob Sherman said. "We have made good progress to date, but have much more to do." Record fines: 'New normal' for banks? The London-based bank joins a long list of financial institutions that have faced scrutiny from U.S. regulators over allegedly illicit money transfers, but the size of its combined settlement with eight different U.S. authorities is unprecedented. U.K. bank Standard Chartered agreed Monday to pay $327 million to settle charges that it violated international sanctions on transactions with Iran, Burma, Libya and Sudan. In June, Dutch bank ING agreed to pay a $619 million penalty for moving billions of dollars through the U.S. financial system at the behest of Cuban and Iranian clients. Back in 2010, Wachovia Bank paid $160 million to resolve allegations that its weak internal controls allowed Mexican cartels to launder millions of dollars worth of drug proceeds. Wells Fargo (WFC)bought Wachovia in 2008. And Swiss bank Credit Suisse paid $536 million in 2009 to settle U.S. claims concerning business with Iran and other countries. While HSBC's penalty dwarfs these other settlements, it's still just a fraction of the $16.8 billion in profits the bank recorded globally last year.